Our Guide to Wall Art | Ashgate Furniture Co. 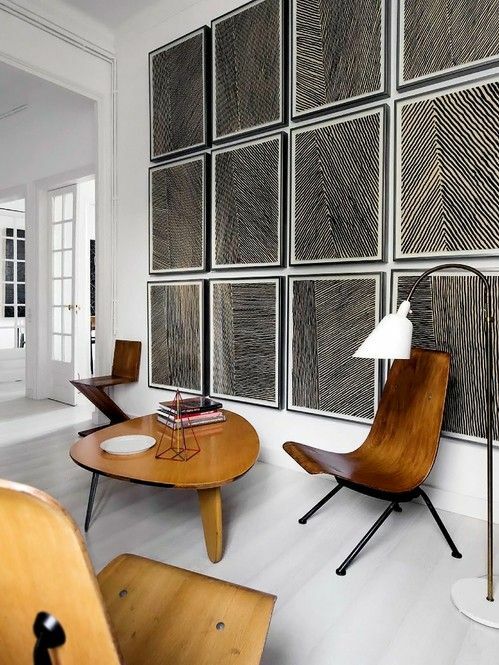 When it comes to Wall Art, you’ll see the internet full of inspiration for every design, style and look out there. But with so much choice, it’s difficult to decide what’s right and wrong for the atmosphere you’re hoping to achieve. You might’ve seen a bit of inspiration when we shared our #Shelfie post, but in this post, we’re going to be giving you the low down on wall art, the different ways to style it, and the crucial Dos / Donts. 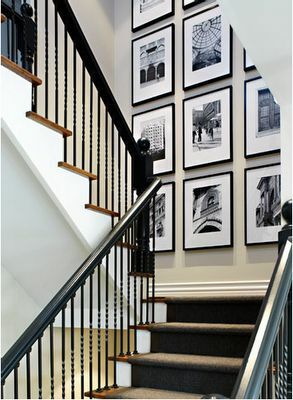 ALWAYS – Hang the art from two points on the frame, rather than just from the centre. With these three steps, you’re bound to find your walls maintain a neat and formalised look, even when they’re at their most colourful and random. Using wall art can sometimes make or break a room; which is why it’s a great idea to create a feature series if you have enough room. Use multiple pieces to create a bigger picture, for a contemporary mosaic style that looks perfect in the dining space, foyer or master bedroom. 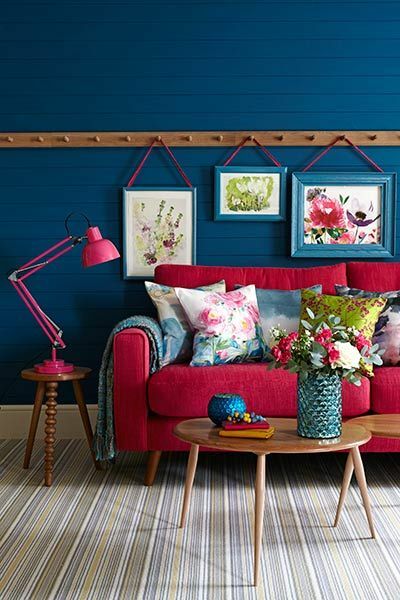 If you can’t find a few pieces to make up a bigger picture, creating a story with a mis-match of frames and art is a great way to boost character in the room, and works perfectly for quickly re-decorating rented accommodation to bring the home space to life on a tight budget. If you can’t find a favourite theme, try search for pieces you like that follow the same colour patterns. This way, whether pieces are together in the room, or separate, they create a story that guests will notice automatically as they enter. There’s really only two options when it comes to picking wall art and colours; balance or contrast. Building up a contrast with wall art really gives you the world to work with, and prevents limitations when it comes to colourschemes and patterning. If you’re looking for balance, you’ll need to be spotting key pieces that compliment the space, rather than an accumulation of your favourite works. Monochrome, cellular displays are pretty perfect for creating a balance in the house, and adding a touch of glossy sophistication. 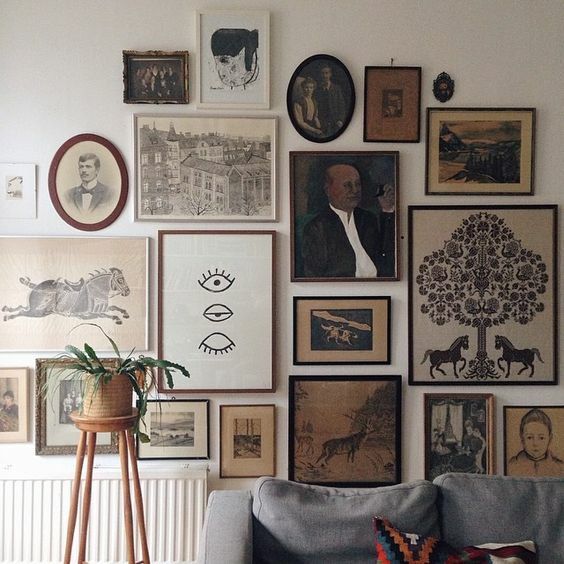 Whilst we’re all for the regimented look of matching frames and spacing, there’s something just so creative and fun about a care-free space with contrast artwork. There’s so many people today that focus on the beauty of black & white, sepia schemes for wall art, but art isn’t meant to be so civilised. Naturally, art is for expression and showing your personality, so don’t be afraid to reflect your own character, likes and interests in your displays. 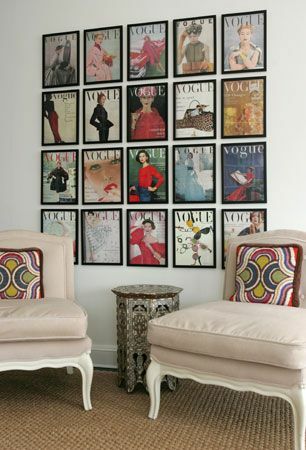 We absolutely love this Vogue spread display. It’s eye catching, creative and both interesting to look at from a distance, or up close. Something like this just oozes with character and gives a great first impression for guests to know your style and interests. Art is perfect for creating a conversation starter into some of your favourite ever talks; so be bold, brave and just you. Make your walls come to life with stories, history and colour.